After listening to R E M L A R Я‘s Sunset & Palm Trees, it’s likely you could guess his nationality – French. The French House influence is strong in this one, creating an exciting, dynamic Future Funk release almost exclusively for the dancefloor. Here we have a playful, feel-good summertime album to keep the party alive and release the heat. 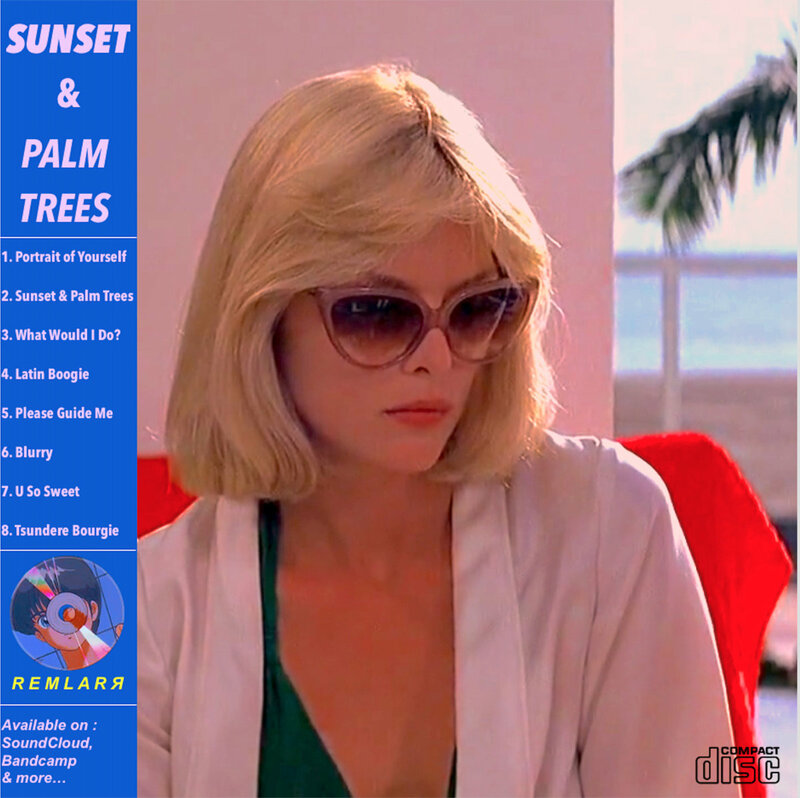 A number of tracks on Sunset & Palm Trees carry a twitchy quality to them due to the frenetic editing work performed by R E M L A R Я, take Latin Boogie and the title track which, apart from containing delightful latin music samples, both jump, turn and re-arrange themselves at the mercy of R E M L A R Я’s cut-and-paste mania. It never feels phoned-in or aimed at making the producer look cool. Instead, it elevates the Future Funk offering to a cohesive and innovative level. Blurry is the cherry on the cake, forming entirely new beats from mega-short samples, then stretching them to provide a fantastic infusion of Disco-House music, asking to be played out loud with a crowd that can sweat to it. It’s all a very club-friendly affair, succeeding at such a focused approach. Future Funk continues to grow as a genre and Sunset & Palm Trees is a great example of its evolution. Disco, House, and good vibes coming together to create a joyful experience to ease the mind and bust a few moves. If you’re looking for a home-made DJ experience, the French producer has you covered for this one. Favorite tracks: Sunset & Palm Trees, Latin Boogie, Blurry, Portrait of Yourself.